If So, Learn How to Get One! A Russian visa isn't that hard to get. All you need is your passport, an application form, a couple of photos and an official confirmation from the travel company. If you're travelling independently you can choose from several types of Russian visas, but for most travellers, a tourist visa (valid for a maximum of 30 days from the date of entry) will be enough. However, if you plan on staying longer than a month, then it’s advisable to apply for a business visa or, much better, for a private/home stay visa. Alternatively, if you're travelling on a cruise ship or ferry, then applying for a visa is not necessary as now you can travel to Russia Visa Free, if you meet certain requirements. Anyhow, if you need a visa the process implies three stages (invitation, application and registration) and usually takes at least a month before you travel to secure one. So, be patient, and before you apply make sure you have all the necessary documentation. Among all types of Russian visas, when you apply for a business or private visa the process won't be as straightforward as for the tourist visa. It will take longer and more paper work. But don't be put off! With the help of a travel agency back home or a good service visa online you will be fine. 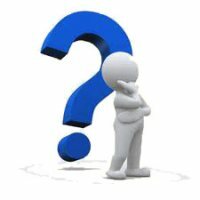 Surely, you may still have many questions in your mind, who doesn't! Visa application is a huge topic constantly changing. So take your time to digest it all. Here you can find all the information you need to know. For your information, a visa to the Russian Federation is a document that permits you to stay in Russia for a specific period of time. 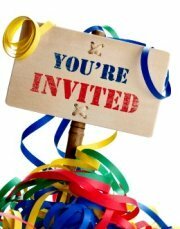 A visa records your entry/exit dates, your vital information, passport details, and information about the inviting party. Sometimes you may also have your photo stamped into it. Bear in mind that your Russian visa is an exit permit in the same way as it’s an entry permit. Thus, if you lose it or stay over your designated departure date, leaving the country could be more troublesome than entering it. Usually if you wish to travel to St Petersburg you are required to have an Entry Visa to Russia like most foreign nationals. However, recently Russia established a visa free regime with several European, Asian and South American countries, including those countries who are member of the Schengen agreement. For example, most citizens of the CIS (Commonwealth of Independent States) and other countries, such as Argentina, Bosnia, Herzegovina (holding an invitation letter or voucher); Brazil, Chile, Colombia, Cuba, Ecuador, Guatemala, Hong-Kong, Israel, Macau, Macedonia (holding an invitation letter or voucher); Montenegro, Nicaragua, Peru, Serbia, Thailand, Turkey, Uruguay, Venezuela, except Georgia and Turkmenistan, don't need a visa to travel to Russia. If you are on that list, good for you, but if you aren't, then, I am sorry but you need to apply for a visa, unless you come on a ship cruise, and your country is listed on the Europe's Schengen Area. For more information on the visa free regime, see who does not need a visa to Russia, and contact also your Russian consulate in your country to double check whether you are eligible or not to enter Russia without a visa. Things changes each year, you know that! Please keep in mind also that you can obtain a visa to Russia ONLY in the country of your citizenship. Exceptions include those who have a residence permit for a foreign country for a period of no more than 90 days. By now you should know that there are different types of Russian visas. So the question is... Which one do you need? Which one is more suitable for you? Below we provide you with a comprehensive list of the types of visas for which you may apply. Just click on the type of visa you need. A new page will open with all the information you're looking for. Remember, each visa requires different documentation, and the prices vary according to the applicant’s citizenship, the travel agency or on-line service you choose, as well the consulate to which you apply (if you do it on your own). If you wish to visit St Petersburg as a tourist, and you plan to stay for up to a maximum of four weeks, then, you should apply for a Russian Tourist Visa. These visas are the most popular among holidaymakers, as well as the easiest to obtain. In less than 3 weeks you can get one! If you need to travel to St Petersburg for business reasons for a few days, some months or even one year, then, you should apply for a Russian Business Visa. These visas are the most popular among business people who travel to Russia to meet their business partners, take part in negotiations, sign a contract, visit an exhibition, or work for a short period of time. If you choose to stay in St Petersburg for a period of time over a month, but under 3 months, then you should apply for a Russian Private Visa. These visas are for those people who wish to visit family or friends in Russia from whom you can request a private invitation. Honestly speaking, they are the most difficult to obtain. So good luck! This visa is for foreigners who travel to a third country via Russia. Prices for transit visas are usually low, and they are not difficult to get. So, in the event you are travelling via Russia to another destination by plane or train, then you should apply for a Russian Transit Visa. Alternatively, if you are planning to work or study in Russia, then you will be entitled to apply for a Work or Student Visa, the requisite support for which should be organized by your Russian employer or the institution at which you will be studying. If an organization cannot provide the necessary paperwork, we strongly recommend that you reconsider taking up employment or studying with them. If you want to avoid lots of long paper work, and save money on the making of the visa, now you can also travel to Russia visa free thanks to the new Visa Waiver Program introduced by the Russian government in the past few years. In accordance with the legislation of Russian Federation, foreign tourists and persons without citizenship or relevant visa and/or proper permission travelling on ferries or cruises may arrive to the Russian Federation without Russian visa for a period of 72 hours, being part of an organized excursion group. So you can travel to Russia on a ship cruise liner, or on a ferry cruise with St. Peter Line Ferries, but only if you comply with the Visa Free Program Rules. There are three ways to get a visa for Russia. You can do it individually through a Russian Consulate (stressful, daunting, but cheaper), find a Russian visa center near where you live (no queues and time saving), or ask a local travel agency to do it on your behalf (fast, easy, but more expensive). Personally speaking, the most efficient way to get your visa would be applying through a reputable on-line visa agency service, which compared to a local travel agency, the application process will be 100% hassle free as you will apply easily from the comfort of your home. That said, Russia is one of those countries where it pays to utilize a travel agency to coordinate your visa application. What makes the process slightly different to other countries is that to get your Russian visa, the first thing you need is an invitation letter (also known as visa support). The invitation can be from a resident for a private visa (valid for 3 months, with single or double-entry), from a Russian travel agency, a hotel, or a local travel agent for a tourist visa (valid for up to 30 days, with single or double-entry), and from a Russian company or a travel agency for a business visa (valid for up to 1 year, with multiple entry). Alternatively, if you're applying for a working or student visa, then the invitation will be sent by the company you will be working for or the university where you'll be studying. 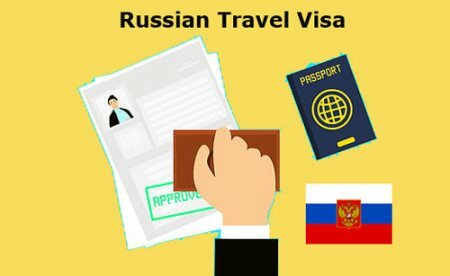 Once you have the Russian Visa invitation (usually two documents - hotel voucher and tourist confirmation), you need to make sure you have the other documents ready to complete the Russian Visa application (passport, two photos, travel insurance and the HIV test certificate in case you stay 6 months or longer). After all this, you're set to go! Once you are in Russia, then you need to register with the Federal Migration Service (FMS) within three business days, but only if you stay more than 7 days in the city. However, in case you are staying at a hotel, then no worries! This must be done by law by the hotel within 48 hours after your arrival without any effort or inquiry on your part. But you're in Russia, so it is always worth checking this with your hotel. On the other hand, if you are not staying at a hotel, the registration can usually be done at the office of the travel agency that issued your visa support. Note: You should know that following the presidential order, as of 10th December 2014 all applicants over 12 years of age applying for their Russian visas in the UK, Denmark, Myanmar and Namibia are required to provide their biometric data at the time of having their visa documents submitted for processing. The invitation letter is a special document issued by the party that invites you to Russia. This document is required by a Russian consulate to be able to process your visa. For every type of visa, there is a different type of invitation (tourist, business, work, private, student, humanitarian), so according to whichever type of visa for which you're applying, you will need a specific invitation. The invitation can be issued by a Russian travel agency or by a company or organization authorized by the Russian Ministry of Foreign Affairs (MFA). Once again, if you apply for a visa independently, the first thing you need is an invitation (also known as visa support letter). After that, you can apply for the visa at a Russian consulate in your country of residence either by yourself or through a local travel agent (usually for an extra fee). Then, upon your arrival you'll need to register yourself at the immigration office, if you stay more than a week, otherwise don't bother. For your information, if you need a Russian Visa invitation, including the registration, then don't look any further! We can help you to get one quickly and complete the registration process on your behalf in less than 48 hours, leaving you free from stress and worries. We offer this service only if you're staying in one of our apartments, or in the event your host does not provide you with the letter. Find out more about our visa support! Upon your arrival in St Petersburg you must register with the Federal Migration Service in the city or region where you're staying within seven days of your arrival. By now you should already know that, but let's clarify this step below. 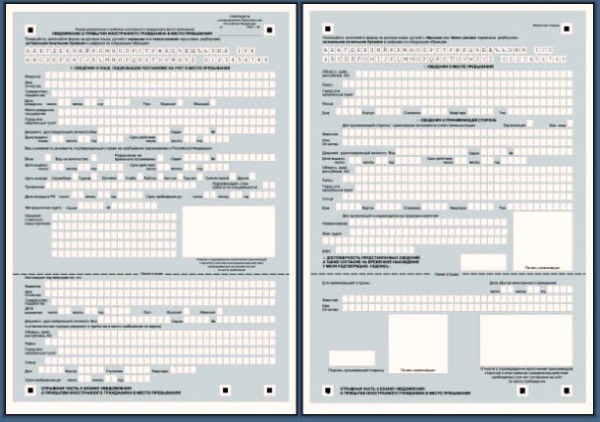 Example of a visa registration form. So, if you are travelling on a tourist visa and staying in a hotel, the hotel staff will register you for the period you’re staying there. If you are traveling on a business visa instead, then, the company inviting you is responsible for registering you, while if you have a private visa, your Russian family or Russian friend, who invited you will need to register you. Registration can be completed by them at local branches of the Federal Migration Service or any post office. The same applies when you're renting a flat through an agency or a private owner. Remember, to complete the visa registration you need your passport and the migration card. By Russian law, the responsibility for registration lies with your accommodation provider or the organization or individual who issued your visa invitation. Thus not you, nor the agency which issued your visa support. Once you have been registered, you will get back a copy of the registration form. This form must be presented by you at passport control when you leave the Russian Federation. Failure to do this can lead to significant fines. If you lose the form during your stay, you will need to go in person to a local branch of the Federal Migration Service to report the loss. As a foreign traveler when entering Russia you're requested to fill out a Migration Card (see sample here). A document that contains your personal information, terms of stay, passport number, purpose of visit and prospective place of residence. Usually, you can find these cards in the waiting halls for passport control at airports or border points, or the personnel on your plane or train should give one to you. This card is very important as you will have to present it at passport control upon arrival and departure as well as when registering your visa. For this reason, we recommend that you keep it with you for the whole time you are staying in Russia. In case of loss, you should report the loss to regional bodies of domestic affairs domiciliary within 3 days. If you don't, you will have some trouble. Please note also that you cannot stay in Russia longer than stated in your Migration Card. For example, if your Russian visa is valid for one month, and you have written that you would stay for 20 days, you are not allowed to stay more than 20 days. If you are applying for a Russian Visa independently, you will need to submit documents - either in person or, in some cases, by post - to your nearest Russian Embassy or Consulate. Therefore, if you need to find your Russian consulate quickly check out this website. There you can find links to a list of comprehensive contact information for all Russian consular departments throughout the world. Hope it helps! It's not hard to get a Russian visa if you play it right. That Russian embassy only looks tough, you know. Do your homework, and it will fall like a card house. After all, you are speaking to someone, ME (Davide), who has applied on my own for a Russian visa several times. Note: If you have more questions or you did not find what you were looking for here, then I really suggest that you check with your Russian embassy or consulate in your country of residence. Sure they know more than us! From Russian Visa return to Travel to St Petersburg, or go back to the Homepage.